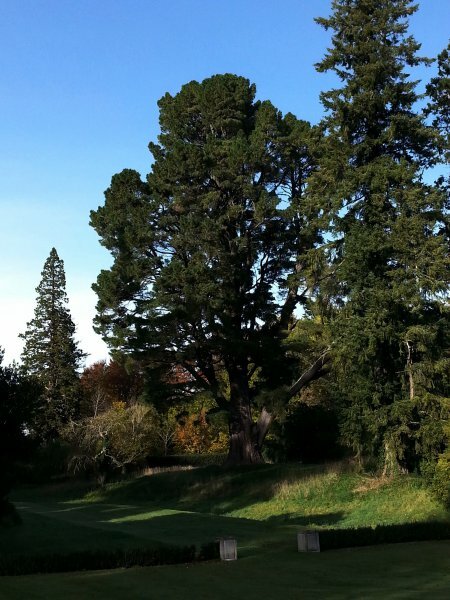 This tree at Mt Peel Station is considered to the first recorded planting of Pinus radiata in New Zealand however it is thought that earlier introductions may have been possible. A plaque on the tree records that it was germinated from a seed in Sydney in 1856 and subsequently planted at Mt Peel in 1859. 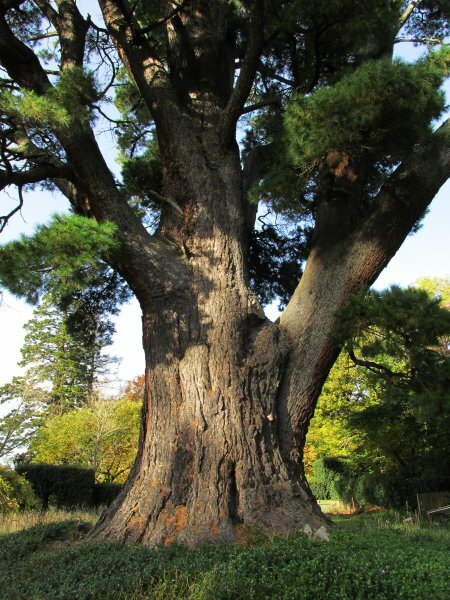 In the 1984 book 'Great Trees of New Zealand' Burstall favoured the Geraldine tree (see CR/1008) over this low branching specimen (Cadwallader, B.G. 2015). 1) Burstall S.W. & Sale E.V. 'Great Trees of New Zealand' 1984; p.218. 04 May 2015 Cadwallader, B.G.